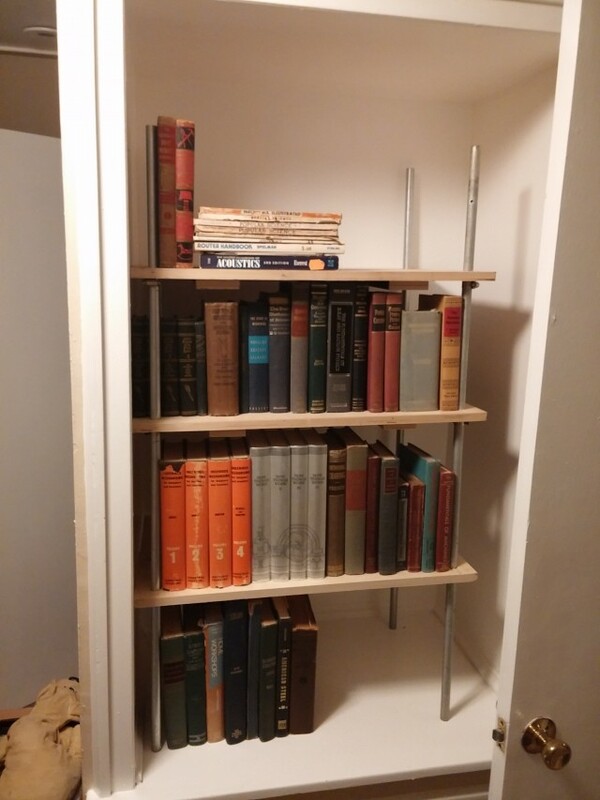 Four 1/2″ diameter lengths of EMT, twelve hose clamps, nine square feet of MDF, and some wood screws. Two hours to design and build. I’m assuming the cross-brace type looking pieces serve a purpose, but what? Do they somehow add structural integrity? 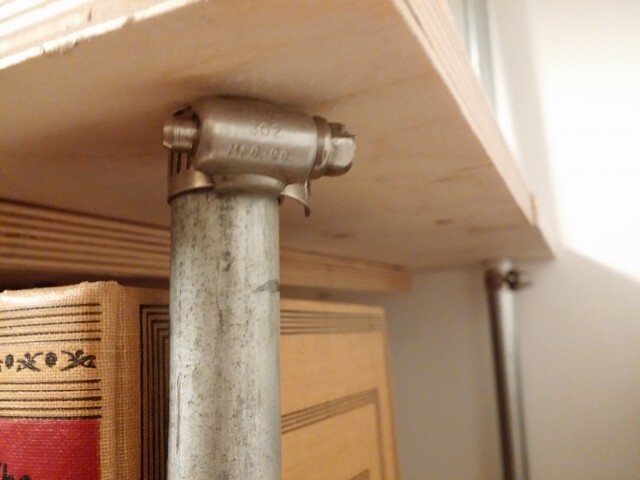 I’m assuming that is what the wood screws are for, to hold those pieces to the main shelf. Thanks for posting this – great idea!